As summer break begins, Mark gives a homework assignment to all teachers: Break up with nightly homework this coming school year. 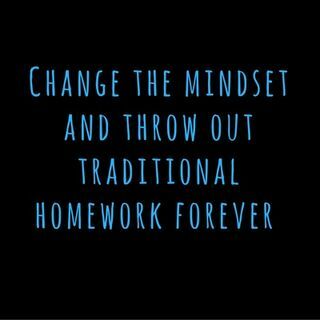 Learn how to change your homework mindset and eliminate the useless traditional homework assignments that often make students and parents hate school. Mark shares a story about lying constantly as a middle school student, in order to avoid punishment for not completing homework. He also provides an anecdote from school principal Bethany Hill, who has changed the ... See More homework mindset of faculty, students, and parents at her school. Learn how to break up with nightly homework this summer and reimagine teaching and learning next school year. For more education innovation, visit http://hacklearningfree.com. To see a list of all episodes, visit http://hacklearningpodcast.com.